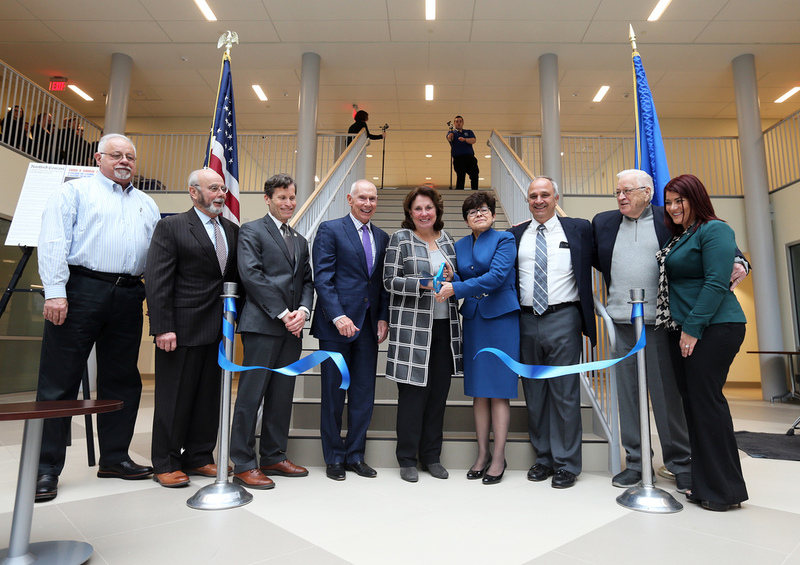 University officials, state and local dignitaries, and members of the campus community celebrated the completion of the new Willard-DiLoreto complex with a ribbon-cutting ceremony on Feb. 20. Among the guests was Carol A. Ammon '73 after whom the College of Liberal Arts and Sciences is named. 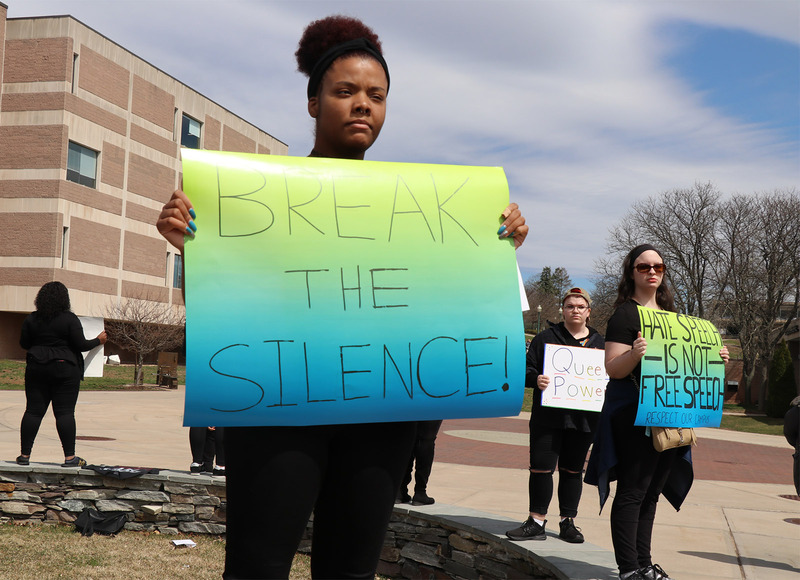 The two-year, $63 million project gutted and renovated the Willard and DiLoreto classroom buildings and added a connecting atrium. Student services are now centralized in the atrium section of the complex.